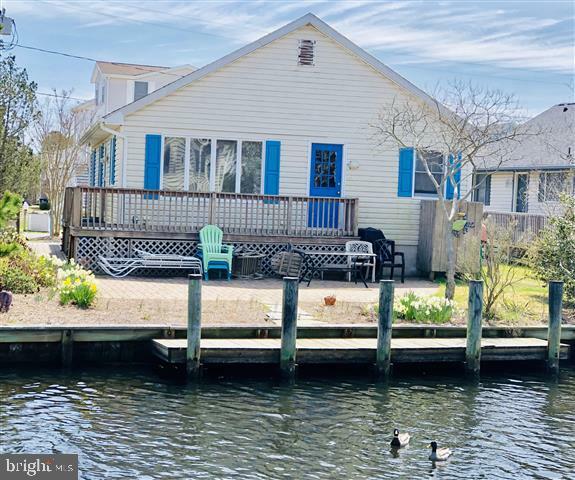 Waterfront canal Home in the beautiful and quiet residential Town of South Bethany. Just a short walk to the Lifeguarded Beaches. Relax and Barbeque on your canalfront paver patio with your own boat dock. Just a short boat ride to the scenic Jefferson creek wildlife refuge area behind South Bethany, and to the wide Bay waters for crabbing or fishing, as well as to the Atlantic Ocean. This very well kept 3 bedroom, 2 bath Home is turn key and ready for you to plan your beach getaways. Some weeks are rented already to help offset expenses.